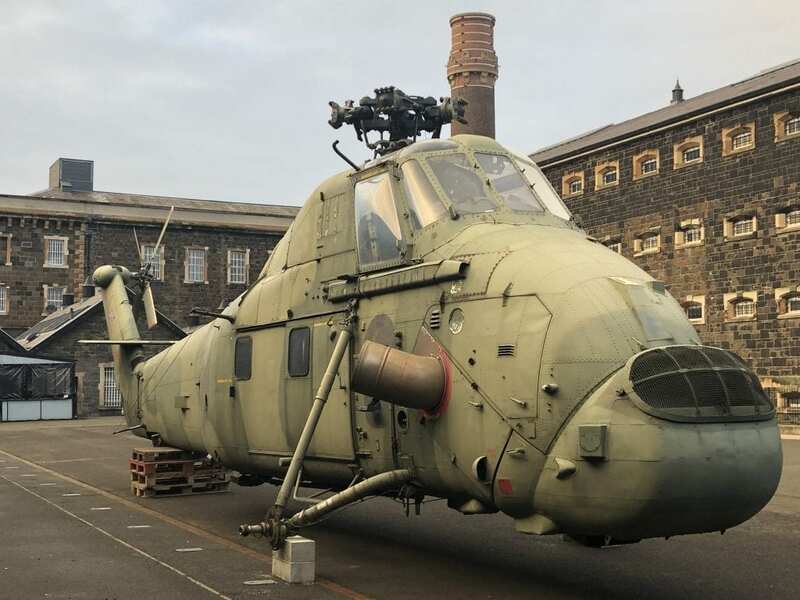 Yesterday, Crumlin Road Gaol took delivery of a decommissioned Westland Wessex helicopter from RAF Aldergrove. The Wessex XR 529 ‘ECHO’ will be the focal point of a new tour being launched at the 5 star visitor attraction in 2019. Carefully guided into placed beside the Sanger at D Wing the Westland Wessex HC Mk2 Helicopter will be on display to visitors. 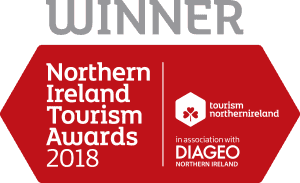 It will give them an insight into the happenings during the conflict in Northern Ireland and tell the story which the British Army and RAF played both at the jail and in the wider community. Once an iconic feature of the skyline in Northern Ireland the Westland Wessex XR 529 ‘ECHO’ was part of a batch of 30 HC2s built by Westland Aircraft Ltd. They were operated by 72 Squadron at RAF Aldergrove until 2002. 72 Squadron served in an Army support role and the Wessex was used as troop carrier for up to 16 passengers. XR 529 ‘ECHO’ was decommissioned and displayed as the RAF Aldergrove Gate Guardian on 16th May 2003. Crumlin Road Gaol is one of Belfast’s leading visitor attractions and since opening it has welcomed more than 900,000 visitors. Known as ‘The Crum’ by locals the prison was built in 1845 and closed in 1996. After extensive renovations the gaol re-opened as a visitor attraction and conference centre in 2012. Today the attraction offers guided tours daily from 10am – 4.30pm which allows the public to explore within the walls and hear the history of the prison and its inmates. The site also boasts a quirky restaurant, Cuffs Bar and Grill, The Crum coffee shop and hosts #LiveAtTheCrum concert nights on a regular basis.